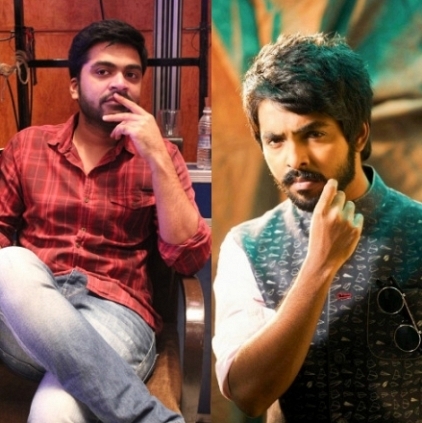 Director Adhik Ravichandran after his debut film Trisha Illana Nayanthara (TIN) with GV Prakash has gotten busy with two projects one with Simbu and the other with GV Prakash. The film with GV Prakash will go by the title Virgin Maapillai. An English word in the title will automatically disqualify a film from getting a tax rebate from the government. But Adhik is quite unfazed about it and guffaws, “Even otherwise, I know my film will not get the tax rebate. So the English part is fine”. Adhik further updates about his film, “Virgin Maapillai is about relationships and I will discuss about how the youngsters these days get into wedlock pretty early when they are around 23 or 24 years. I will delve about how they are managing their married life. In TIN, I had discussed about current trends in love, but in Virgin Maapillai, I will talk about the contemporary trends in married life. I am still in talks to finalize the other cast and crew and it would take a couple of weeks for things to get firmed up. Since GV Prakash is busy right now with his other commitments, we will begin the shoot as soon as GV gets free, perhaps by April or by May”. Ask him about his Simbu film, Adhik confirms that he is planning to do both the films (GV and Simbu) parallely as he has planned things well in advance and is confident to manage both. People looking for online information on Aadhik Ravichandaran, GV Prakash, Simbu, Virgin Maapillai will find this news story useful.